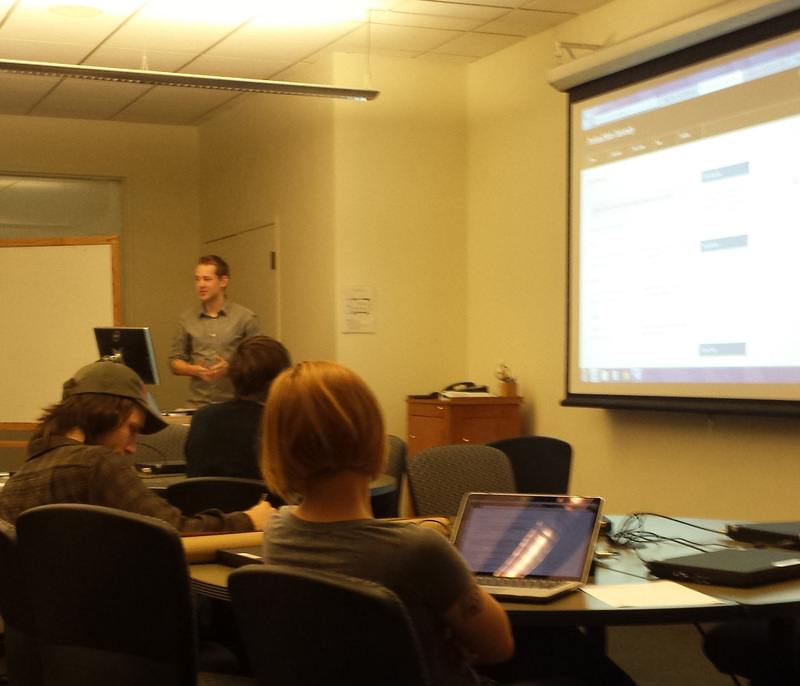 The Fall term is underway! 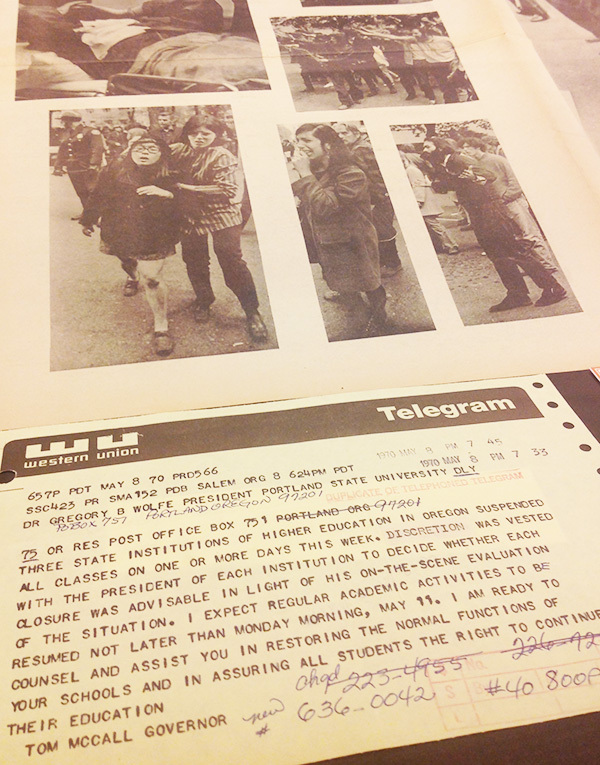 Have you had a chance to visit the PSU and City of Portland Archives’ exhibits for a closer look at an important moment in the history of the city and the university? 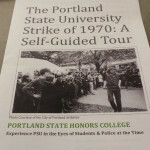 “The Portland State Strike of 1970” exhibits tell the history of Vietnam War protests that took place in the PSU Park Blocks from the perspectives of student activists, Portland citizens, university faculty, city officials, and the police, using original photos, letters, newspapers, police reports, and other documents from the Portland State University Archives and the City of Portland Archives. Two unique displays are open on the PSU campus in two locations: the fifth floor of the Campus Rec building at the Portland Archives and Records Center (PARC), and on the first floor of the Library in the elevator lobby. 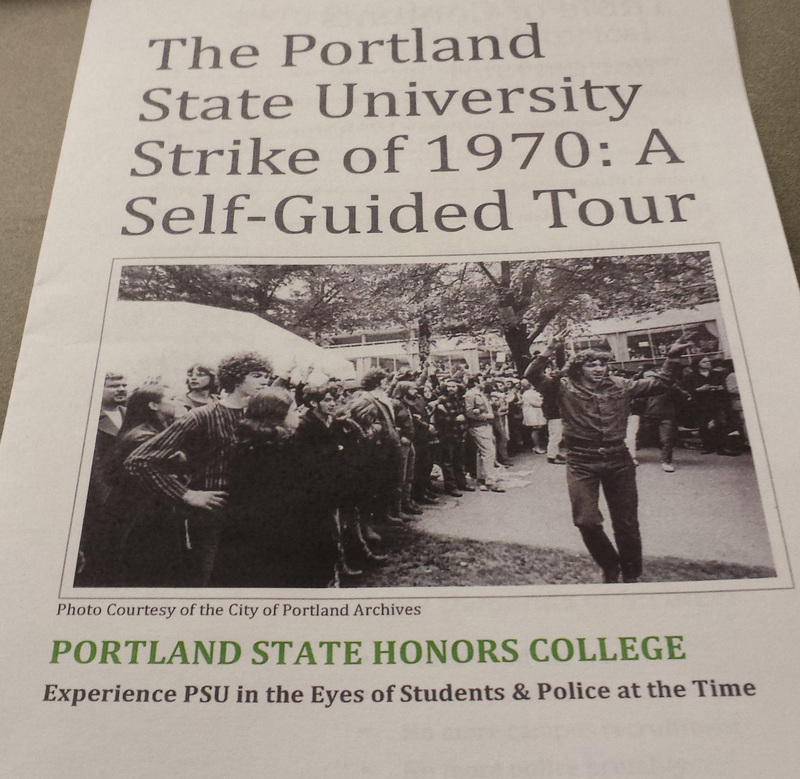 The scene of the strike, the PSU Park Blocks, lies between the two exhibit locations. 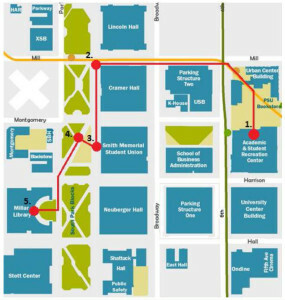 As you travel between the two, take a self-guided walking tour to the sites where the action happened on campus in May 1970. Click the map to download a PDF of the tour. 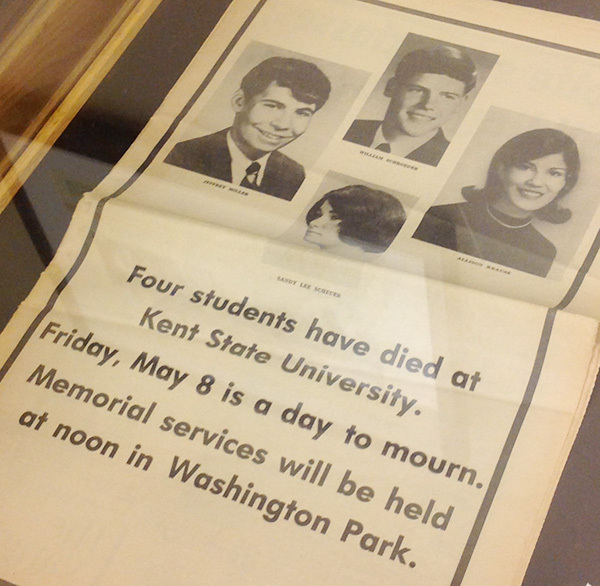 On May 6, 1970, Portland State students, with the support of many faculty members, walked out of classes in solidarity with demonstrators nationwide after the killings at Kent State University on May 4. 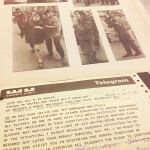 The anti-war movement, protests against military recruiting on campus, actions against the transport and storage of nerve gas in Oregon, and the Free Speech Movement all added momentum to the strike, which lasted several days. 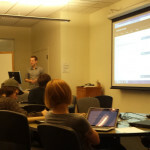 PSU President Gregory Wolfe authorized the closure of campus against the urging of counter-protesters who organized to keep classes open, stating, “Business as usual is no longer tenable.” Protesters barricaded the campus Park Blocks, which were then open to vehicle traffic, to hold speeches and demonstrations. 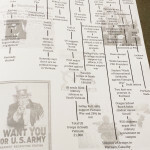 The strike ended violently on May 11 when a Portland Police riot control squad pushed through lines of seated protesters, beating them with batons. The following day, thousands of Portlanders reacted against the use of force by marching from PSU to City Hall, a presence that belied the degree of community support for the city’s action to clear the barricades. These events are remembered by many in Portland and at PSU as powerful moments in the history of the university and the city. 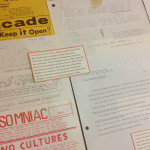 The exhibits were researched and conceived by PSU Honors College students in a Spring 2015 junior seminar, “Activism in the Archives,” led by PSU faculty and PARC artist-in-residence Kaia Sand. 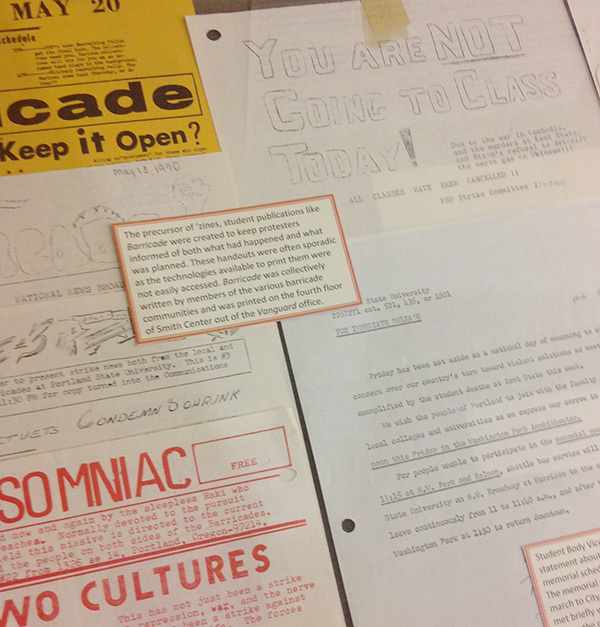 The seminar students investigated original archival sources with the goal of telling the story of the Portland State strike from multiple perspectives, inspired by their own scholarly and creative interests. 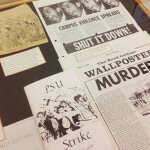 Their research examined the context and significance of political and local issues in 1970 and the various organizations and institutions involved in the strike. 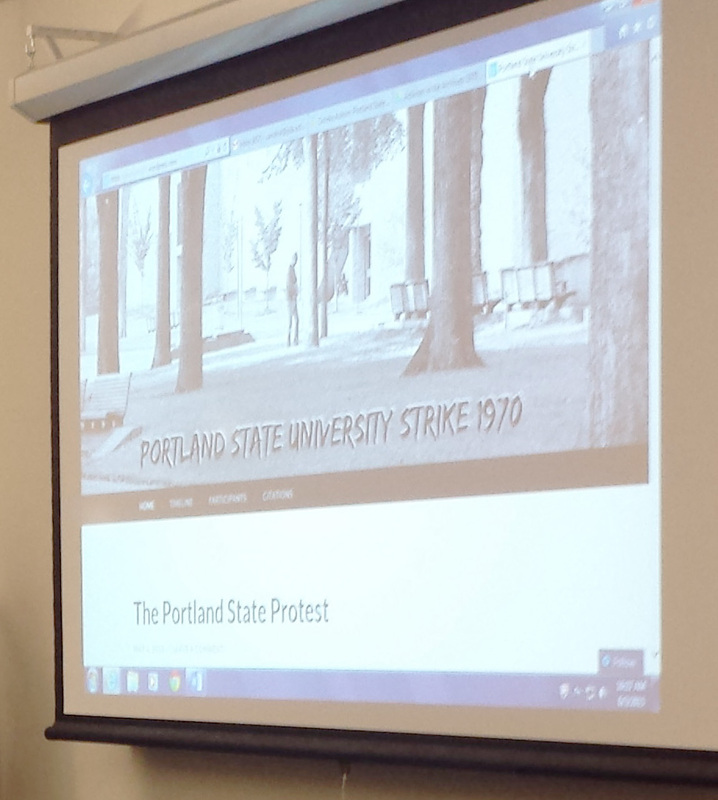 In addition to having access to original documents from the 1970s, the seminar students also had opportunities to hear from former Portland State students who had participated in the demonstrations. 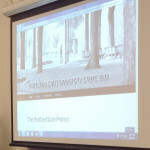 Their projects opened up the archives and proposed new views on historic events through physical exhibits, video and visual art presentations, a digital exhibit and an interpretive website, public events, and the walking tour through the Park Blocks. 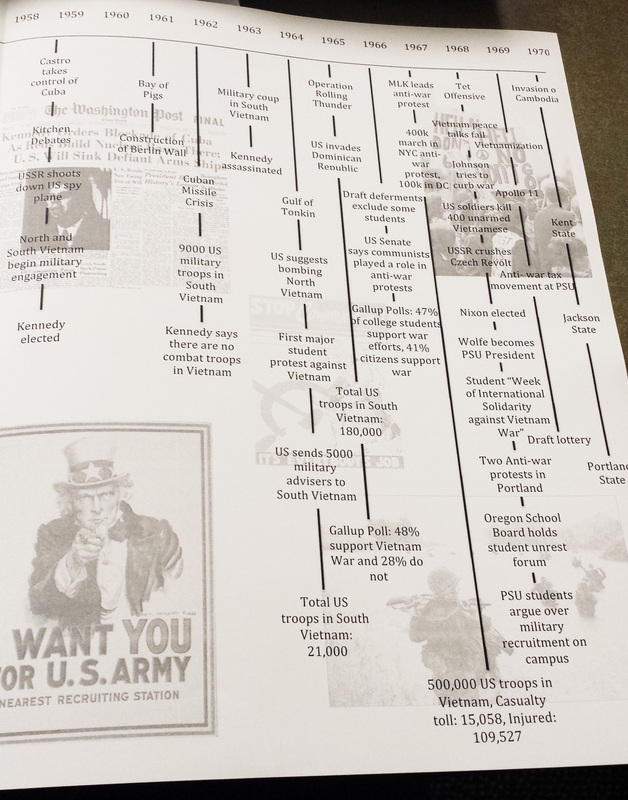 Images from the class presentations include: Kuba Grzeda demonstrating a digital exhibit using the Library’s Omeka platform; a prototype tour brochure designed by Cody Layton, Corinne Rupp, and Taya Welter; a website created by Christopher Anderson; and a timeline of national and international events leading up to the Vietnam War and anti-war protest actions on college campuses in 1970, compiled by Kaylee Brink and Anna Murphy. 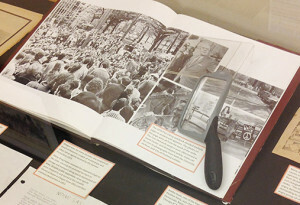 Honors student intern Corinne Rupp worked with the PARC and PSU Archives’ collections this summer to continue her colleagues’ research and curate the current documentary exhibits, which describe the buildup to and aftermath of the heated and finally violent conflict between protesters and police in the Park Blocks from both sides of the barricades. 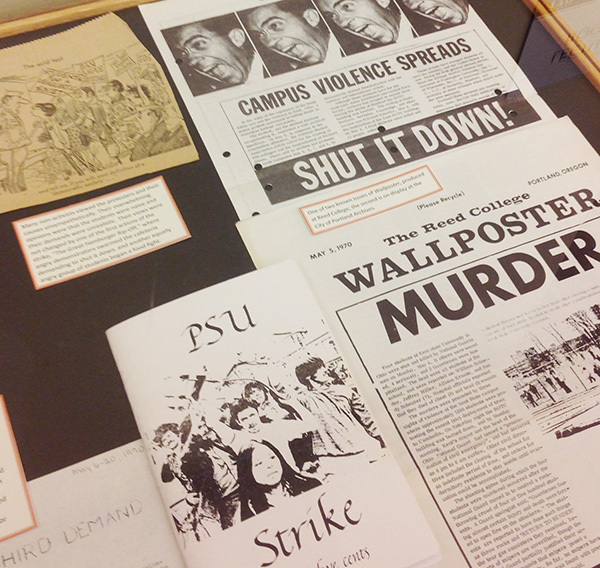 “The PSU Strike of 1970” exhibit will be on view at PARC (fifth floor, ASRC) and in the PSU Library first floor elevator lobby through December 2015.